An ideal stocking filler this Christmas for the Black and Amber die hard's in your life! All sizes ranging from 5-6 to XXL available. 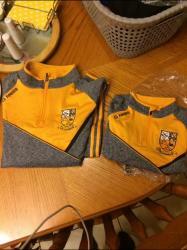 Contact Betty O' Shaughnessy for all gear enquiries or private message the page for more information.